I came across details of this book in a tamil magazine and that made me post a few points about this. Stephen R. Covey, author of The 7 Habits Of Highly Effective People, died in 2012 after a bicycle accident. 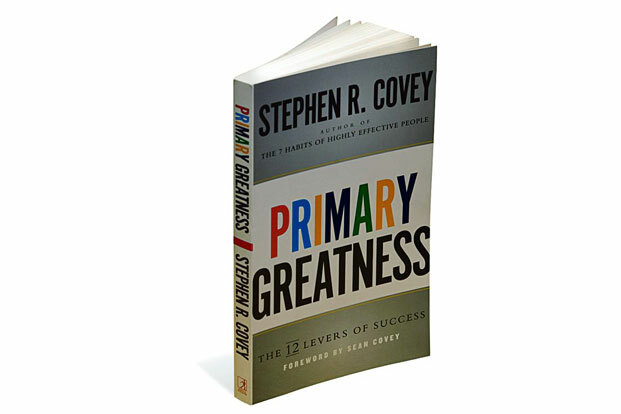 His son, Sean, and the company Stephen founded, Franklin Covey Co., have posthumously compiled some of Stephen’s little-known essays in book form in Primary Greatness—The 12 Levers Of Success. The essays focus on how to achieve success while being true to yourself—including your character and desires. Just say no. Neglect what is urgent but not important. I find that if we neglect what is urgent but not important and attend to what is important but not urgent, we can escape a chronic state of crisis and do more creative work. Busyness is the essence of management. Creativity is the essence of leadership. Research done on companies that have won the Deming Prize, one of the most coveted quality awards, indicates that the top priority for these companies is economic performance over time. What do these companies do differently? In Deming companies, top executives spend at least 60 percent of their time on true priorities: things that are important but not necessarily urgent, such as preparation, prevention, mission building, planning, relationship building, creation, recreation, and empowerment. In other companies, executives spend 50 or 60 percent of their time doing things that are urgent but not important, which is the very opposite of what they should do. Many people tell me, “But you don’t know my situation. I have so many balls in the air.” Actually, it is very liberating for these people to learn that they can neglect urgent, less important demands with very little impact. Keep that internal yes burning inside. It’s much easier to say no to the urgent and the unimportant when you have a burning yes to occupy you. If you have a passion for creative work that promises much greater rewards, you can easily say no to less important tasks without experiencing guilt. You can say no courteously, with a smile, feeling free of shame, to the busy work others may demand from you. One purpose of learning is to distinguish between the important and the unimportant. This judgment requires you to develop criteria for the use of your time that are so deeply embedded that you can say with certainty, “Wait, I won’t deal with that issue even though it is urgent and pressing. It’s just not important enough.” I can’t tell you the difference this principle has made in my life! Operate in both a highly independent mode and a highly interdependent mode. At the core of The 7 Habits Of Highly Effective People lies the Maturity Continuum, a developmental path moving from dependence to independence to interdependence. This same continuum also applies to creativity. Those creative talents who stop at independence are usually those who burn out early. They’re shooting stars. They don’t have endurance because they don’t build an interdependent team around themselves. I find that highly creative work is too difficult to endure the market forces unless we have an interdependent mindset and skillset. With no backup, no relief, no synergy, our strengths become our undoing; our weakness becomes evident because it is not being covered by the strengths of others. Get out of the box, put on different hats, and engage in lateral thinking. You may need to follow the advice of Edward de Bono in his classic book Six Thinking Hats: “Unscramble your thinking so that you can use one thinking mode at a time—instead of trying to do everything at once.” Try thinking creatively without thinking critically. Think logically without thinking optimistically, and so forth. His lateral thinking involves escaping from the usual patterns of thought to new patterns in order to generate new ideas and break out of conceptual prisons. Peter Ueberroth, organizer of the highly successful Los Angeles Olympics, once said it was lateral thinking that turned the games from an event no city wanted to an event for which cities now compete vigorously. Printed with permission from Simon and Schuster.